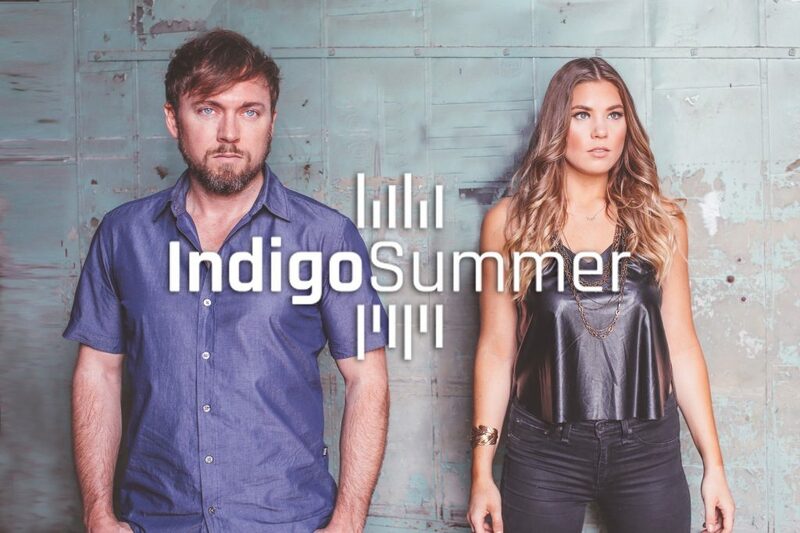 Emerging country duo, Indigo Summer, is set to release their self-titled debut album Friday, October 20, 2017. The duo, comprised of Bryan Edwards and Hope Nix, are each experienced singer-songwriters in their own right. Edwards and Nix initially joined forces as songwriters, but the chemistry was undeniable. The two quickly started performing together…and the rest, as they say, is history! The duo is excited to introduce themselves to the world with their debut album. This album is our big ‘Hello!’ to the world. This body of work fully represents the beginning of who we are. I know we will grow as artists, but this is our foundation and the house we are building is big enough for everyone,” says Edwards. This our first album as a duo. I am proud of all of the songs on this record, as well as, the unique sound we created. There are lots of upbeat, fun, beachy songs that I think people will have people singing along with their windows rolls down, and then there are a few very vulnerable, emotion driven songs. There is definitely a song for everyone on this album,” continues Nix. The members of Indigo Summer are proud to have co-written all twelve songs on their debut album. Produced by the Indigo Summer’s own Bryan Edwards and David Dorn, the duo was able to shape a fresh new sound. As artists they have performed across the country and opened for some of the biggest names in the industry, including Keith Urban, Jason Aldean, and Charlie Daniels. As songwriters, they have had numerous cuts and TV placements, including songs recorded by Jason Aldean and featured on the Discovery Channel. For more information on Indigo Summer visit their website and stay connected with them on Facebook, Instagram and Twitter.